The sudden separation of the then ministers from the Church of the Reconciler that occurred April 2011 was very personal and extreme, an emotionally and spiritually painful event for me. Over ten years ago or longer, the Reconciler had become my point of reference, since my surviving family lives half a day’s drive from Birmingham and I seldom see them. The members of the Reconciler became the source of close friendships and served as my extended family. During those ten years, I assumed tasks and roles at the Reconciler that I would have been reluctant to accept at any other church. I gained a lot of wisdom at the Reconciler; I learned a valuable lot about social justice, and I built community with Birmingham’s homeless population. Like many others that came to the Reconciler, I tested and learned to trust the ministers of the Reconciler. I came to lean on my Reconciler brothers and sisters in times of grief, bad health and in my efforts to help my own family member on the road to addiction recovery. The Reconciler and its staff helped me maintain my spirituality as issues arose in my career and secular life. The long-time leaders and founders of the Reconciler were torn from our midst, banished and forbidden to return to the Reconciler or even to associate with the membership under who knows what threat. 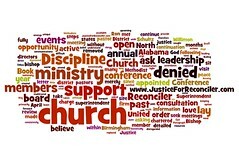 To me as a member of the Reconciler this was a great setback for the church. I have not lost faith that the truth will prevail, but I have lost trust in a denomination and a hierarchy that disregards a congregation, as I feel the Reconciler was disregarded. 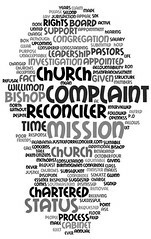 I truly believe there needs to be justice for Church of the Reconciler.